I visit many places I never want to leave, where I’m surrounded by dreamy landscapes and amazing nature, where I meet such kind and lovely people, but I always come back. I often come back with delicious teas, that’s my job, and with these photos I share with you. I love to share them with you as it’s a way of prolonging my travels, days and weeks later. I show you my photos here, I write a few lines of explanation, and in doing so, I’m transported. Thanks to you I return, I’m back in the mountains I travelled through a little too quickly, and now I have time to contemplate them, here, in your company. The mountains covered with tea plants rise so high and the clouds sometimes fall so low that there is no room left for the sky. 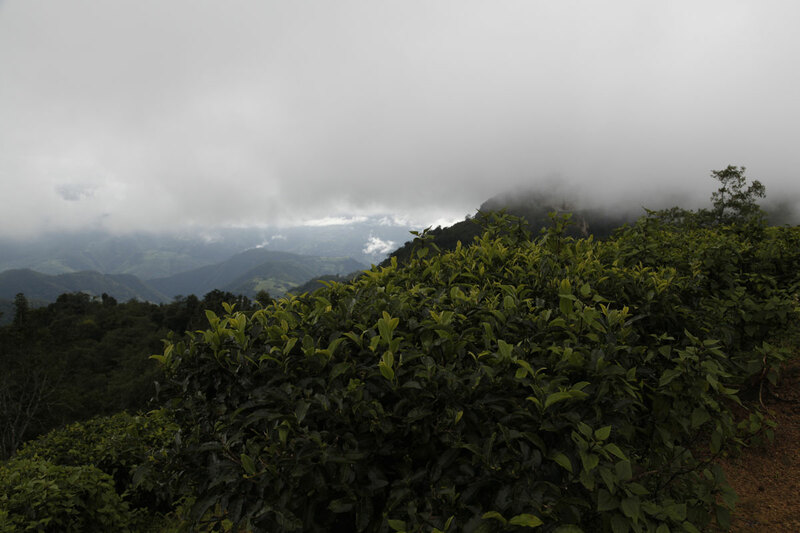 The clouds cover the green blanket of tea plants with mist, envelop them in a layer of cotton wool, caress them, and then disappear. 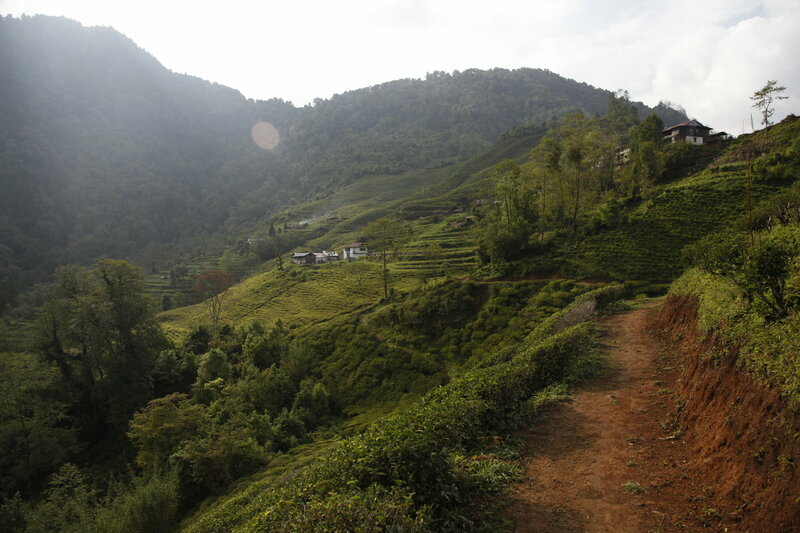 I could stay for hours, in each tea field I walk through, contemplating the beauty of the landscape. And the more I climb, the greater the reward. 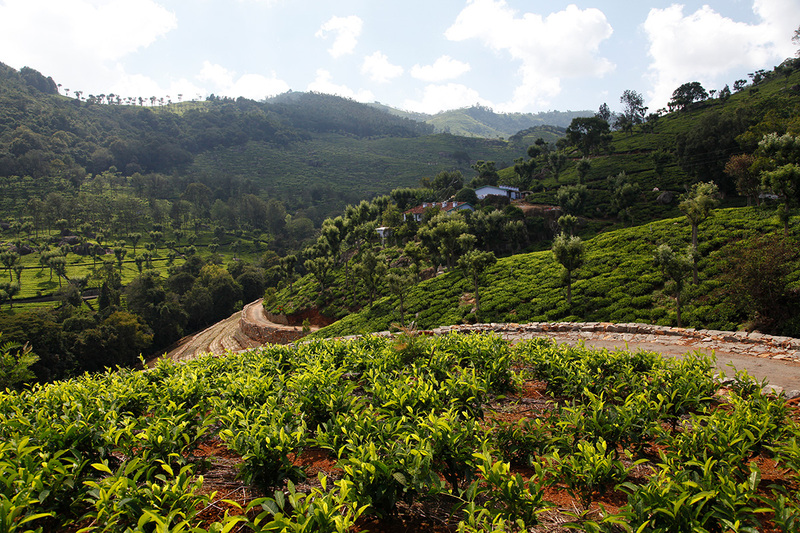 Tea doesn’t grow above 2,000 to 2,200 metres, but at those altitudes the views are breathtaking. If the mist lets you see them. It’s exactly 30 years ago this month that my life changed. Nothing had previously marked me out for a life in the tea trade. Palais des Thés opened its first boutique in March 1987, in a small backstreet in the sixth arrondissement of Paris. Then there were two stores, then three, and gradually the brand was born. Our learning progressed at the same rate. We needed to travel, to meet people. And what can I say about the loyalty of our customers, except that it still touches us just as much. Every time we open a new store, I meet customers who remember the beginning, who have been there from the first day, or thereabouts, and I still feel the same emotion. 30 years have passed, and our enthusiasm is not only intact, it is stronger now than when we started. We marvel at what lies ahead. There is a lot to keep us busy. The more you know about a subject as rich and varied as tea, the more you realise just how much you still have to learn. For tea, like for wine, one lifetime is not enough. I’ll get back to you in another 30 years. Before then, we’re preparing for new tastings, meeting new people, discovering new things. We’re ready to continue learning about tea and the people who make it, doing the best we can to bring you what I would love to be the finest selection of premium teas in the world. And doing so with the greatest respect for people and our planet. Not harming either of them; on the contrary, thinking far ahead, about those who will come after us. 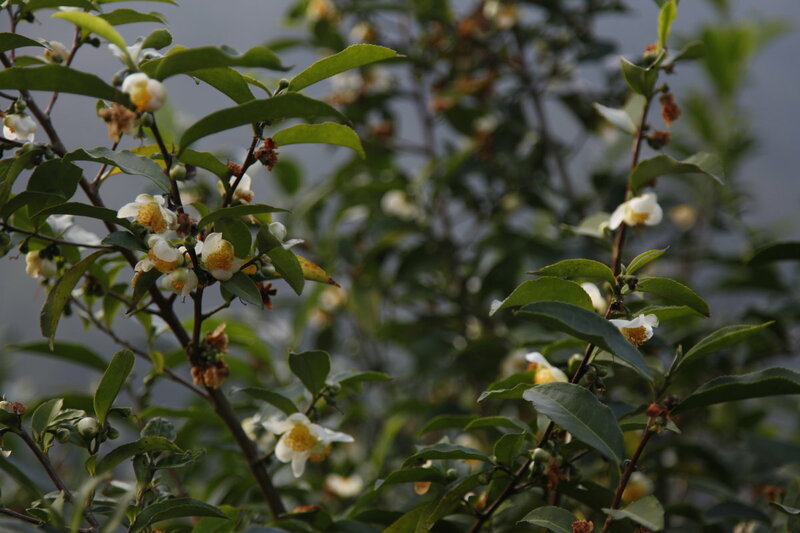 And as we watch spring awakening, as we look ahead to the next 30 years, here are some tea plants in flower for you. I’m writing this in Kolkata, a city I love, and which deserves its nickname, City of Joy. The former Calcutta is also a city of tea. 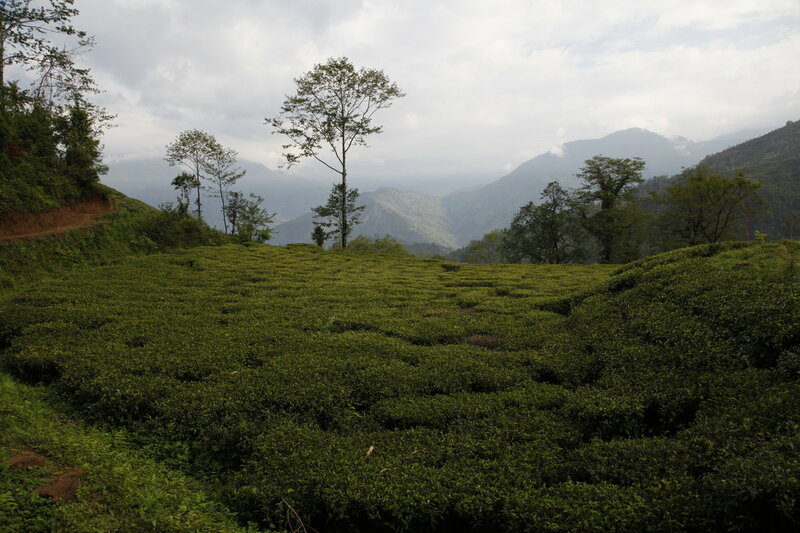 Most plantations in Darjeeling and Assam have an office here, as well as a tasting room. When I don’t have time to go to Darjeeling, I spend a couple of days here, which gives me a perfect panorama of the teas available. I go round visiting each of my friends in charge of exporting tea, and ask them as many questions as I can. 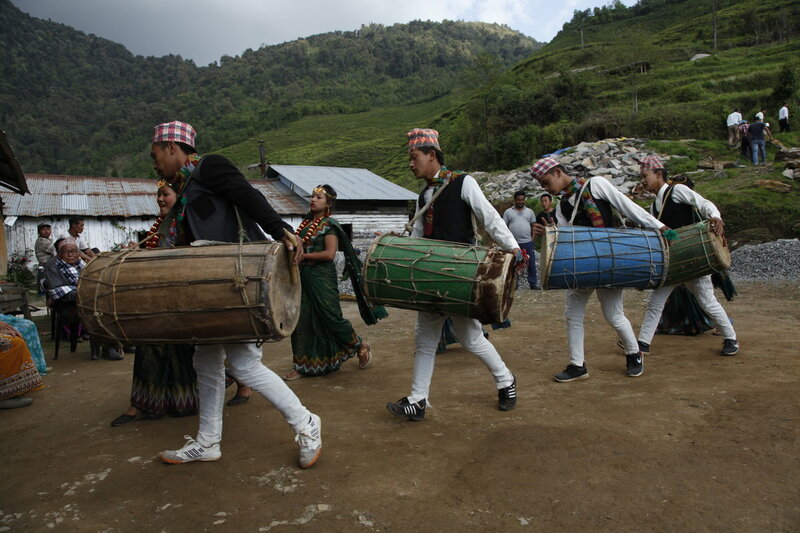 If they’ve received samples of tea from the mountains, we taste them together. 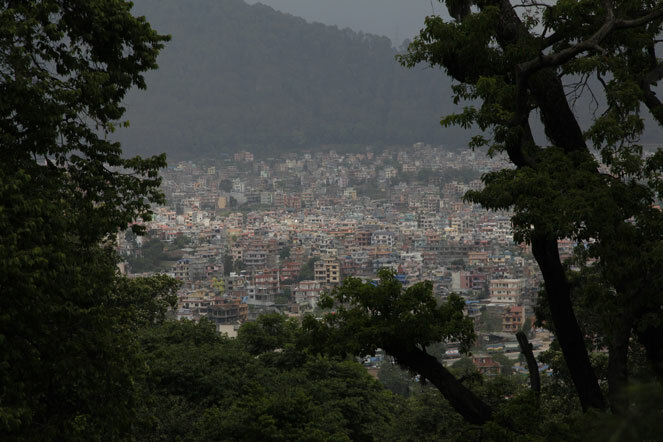 Right now, I can tell you that the situation is not good in Darjeeling. There hasn’t been a drop of rain since October. The temperature is two degrees higher than normal but, without water, the buds are growing at a rate that is alarming the planters. Once I’ve finished my meetings, I walk down to the river and watch the waters of the Ganga flow past. 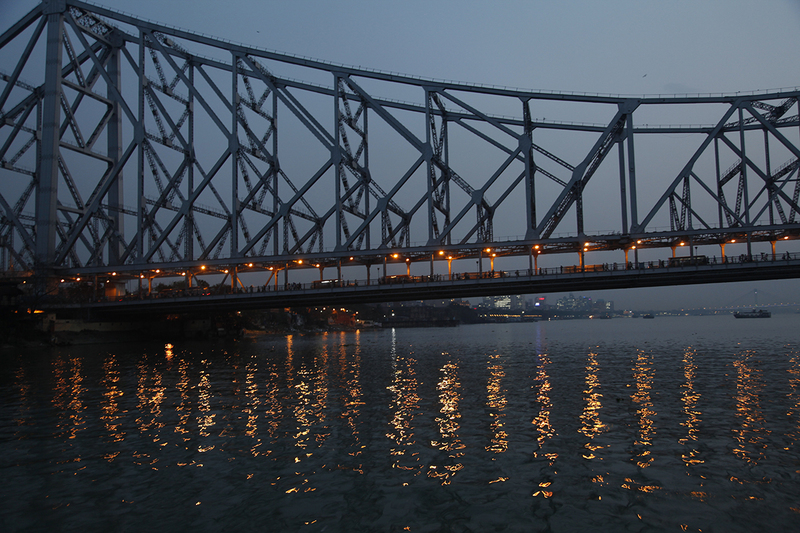 Howrah Bridge is a symbol of the capital of West Bengal. I imagine all those little lights as prayers to make the rain come. Tomorrow I’m leaving Japan and this island of Kyushu I love, this city of Kagoshima, this region of volcanoes, some of the most active on the archipelago. 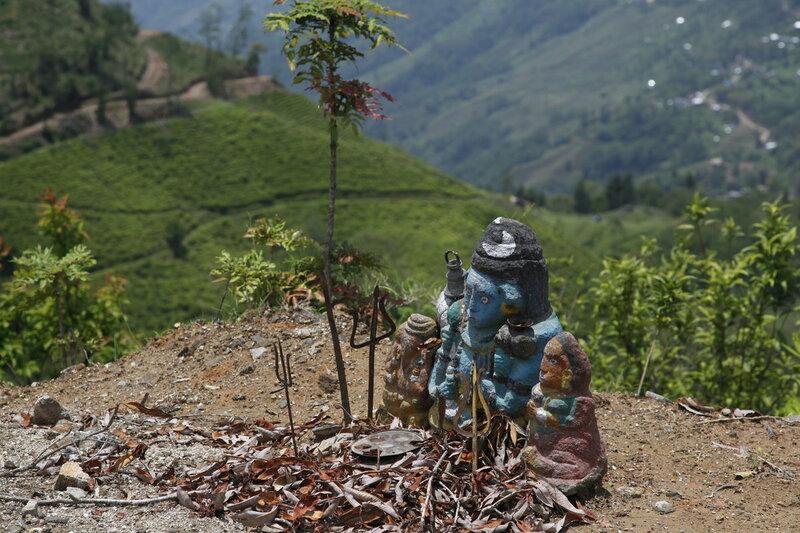 I’m leaving these beautiful and remote tea fields in the mountains, and I’ll show you some photos of them soon. 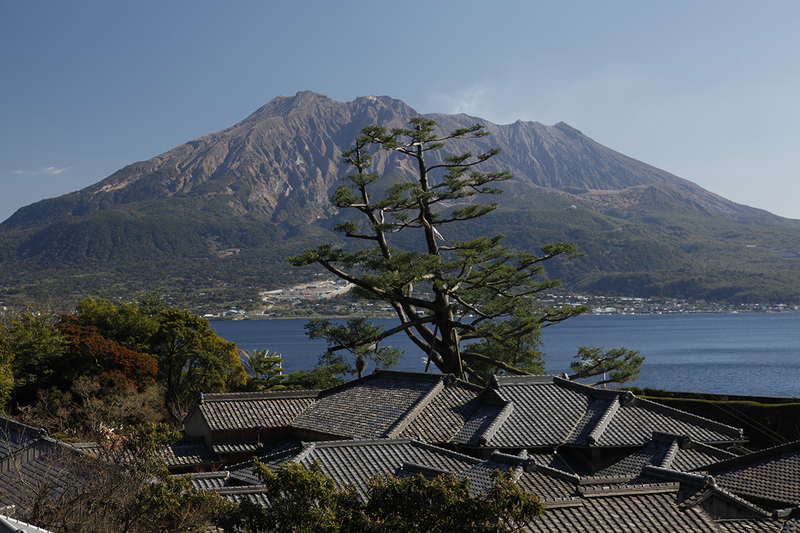 But today I want to share with you my favourite photo, it’s of a volcano called Sakurajima, and I took it while at the Senga-en garden north of Kagoshima. This is one of the most beautiful bays in the world, and here, tea grows inland as well as on some of the islands that lie off the coast. Green tea, of course, but also some black teas that aren’t always necessarily that special but are starting to sell as far away as Tokyo.